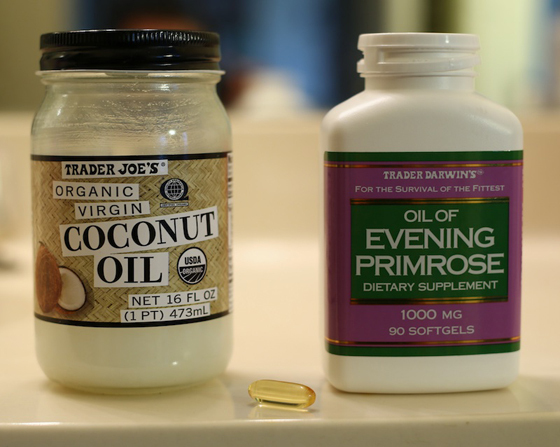 The basic recipe is two parts virgin coconut oil, one part vitamin E oil, and one part evening primrose oil. Next, add one part vitamin E oil. If you are using caplets, use your own discretion – this is not an exact science. Vitamin E oil is a natural antioxidant. Which, hello, free radicals – be gone! My mother taught me to use straight vitamin e oil on scars or stretch marks. I have never forgotten that. As a person with relatively sensitive skin, when I get a pimple or a bug bite, the area stays pink for awhile. Using vitamin e has really helped me eradicate those problems, and it works so well with the coconut oil to create a sort of “smoothing over” effect over time. A natural Photoshop! Your last key ingredient is the evening primrose oil – add one part. This is a fatty oil like the coconut oil. Evening primrose oil helps soothe sensitive skin, and also rehydrates your skin from below the surface. It may even help prevent clogged pores and acne. If you have any essential oils, feel free to add them (a drop of lavender would be a nice addition to promote a restful night), but remember to use essential oils sparingly. As a general rule, they should be paired with a “fatty” oil like olive oil, coconut oil, etc., and should not be used alone. I prefer to use this concoction at night before bed. My eyes are less tired looking in the morning, brighter, and fine lines are diminished quite a bit. 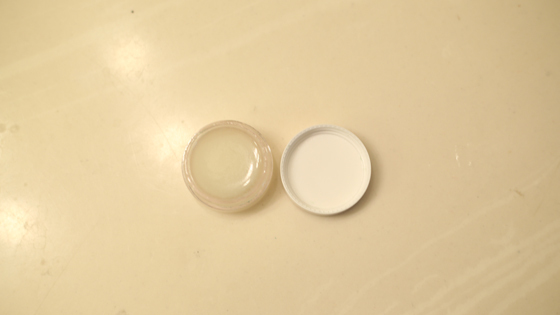 I won’t lie, after I started using this concoction on my eyes and liked the way it felt, I started putting it on my forehead and then eventually pretty much over my entire face! I feel like this is the best thing I have done for my skin in a long time, and extremely cost effective. 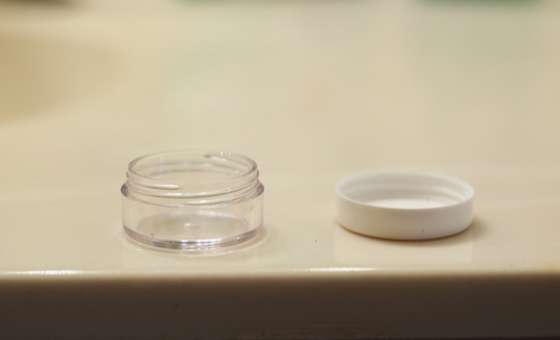 My skin feels plumper, firmer, and healthier!